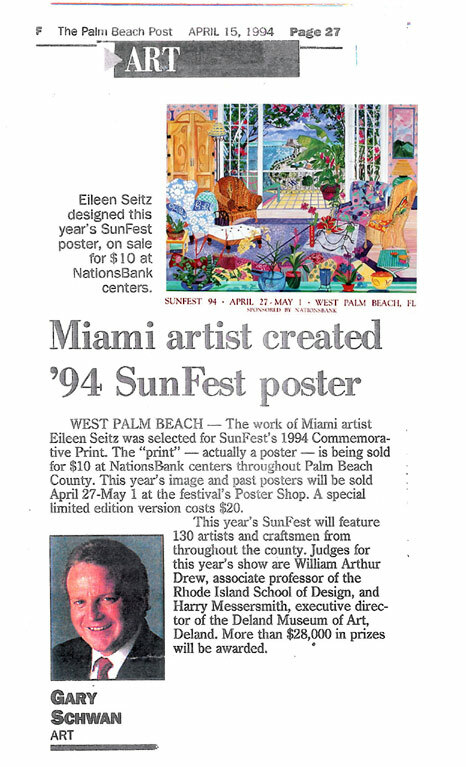 Sunfest Weekend” was a commissioned watercolor, asked to be created for the SunFest Music and Art Festival 1994 official poster. Eileen took a trip to the shows site. 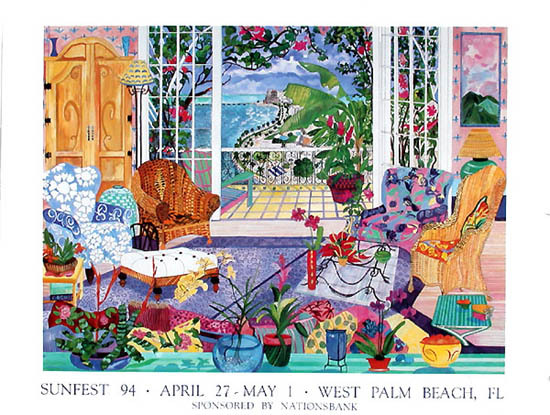 After walking and walking she had a flash inspiration and imagined herself looking off the balcony of one of the high rise apartments over the Intercoastal and seeing the Art Festival below.